This guest post by golf writer, Scott McCormick, has some good advice for golfers of all abilities, especially beginners. Scott is a contributing writer for San Diego Golf Now. As summer rolls on and the heat continues to rise, more and more newbies will try their hand at the sport of golf. While golf has become increasingly desirable for people of all ages, the sport is surprisingly difficult for those just starting out. Like many other situations in life that present difficulty, it’s often best to anticipate what’s coming to better avoid frustration. Golf is no different. If you’re new to the sport, it’s wise to understand how challenging the game is to keep your expectations in check and your mind in the right place. Below are some classic points to focus on that will help tame the difficulties of a new golf career. Using these as a guide can make your early rounds on the links much more enjoyable and fulfilling. Consider a trip to the nearest golf pro – When starting out a sport like golf, it’s nearly mandatory to get a lesson. There are many reasons for this, most importantly that golf is a game of proper technique and etiquette. It’s very difficult to acquire either proper form or knowledge of how the game is played without getting a lesson. People take the rules very seriously on the course, and the flow of a round is determined by other players on the course. It’s best to know how it all works, as well as how to play. Why it helps: Golf is a game that gets easier as consistency increases. A good way to form efficient and accurate habits is to start off on the right foot by getting a lesson. Any problem in technique will quickly become a detrimental habit in a sport like this. Take this into account if you’re looking to take a swing. Surround yourself with the right equipment – Just as it takes the right tools to build a house, it takes the right equipment to play the game of golf. 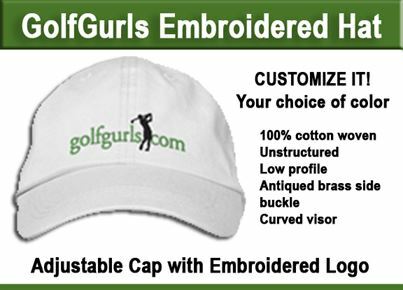 Every aspect of your game will be compromised with any shortcoming in gear. For instance, even not having the correct shoes can cause slippage during a swing, leading to errant shots. Clubs that aren’t the right size or type can quickly change a person’s rate of efficiency. The list goes on. Why it helps: You need to surround yourself with adequate equipment before you start playing golf. Whether it’s borrowing a nice set from your best friend or getting some golf shoes at the mall, it can make a world of difference. There are many sports that you can succeed at without proper gear. Unfortunately golf isn’t one of them. 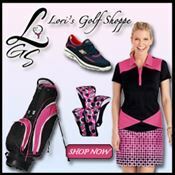 The good news is that golf apparel and equipment usually has a long shelf life and decent resale value. Set reasonable expectations – When you start anything in life it’s important to avoid unreasonable expectations. It’s always better to be realistic, even if it means setting the bar slightly lower. This is a critical concept when the game of golf is concerned. You need to understand that everyone struggles on the course. Even professionals throw their clubs sometimes. It’s just the nature of a challenging activity and as long as you have a grasp of that going in, you’ll be fine! Why it helps: Expectations determine the level of success you feel from a situation. With golf, you need to be reasonable and give yourself a chance to feel satisfied. You will struggle initially, just like everyone else. A main draw to golf is that it’s a challenging sport that’s difficult to master even in an entire lifetime. If you can harness that understanding and use it to your advantage, the potential of your game will be limitless. Golf is a magical game, but it has its share of difficulties. However, the frustration that some people experience when they start a career in the sport can be mitigated in a number ways. Taking lessons, setting yourself up with the right equipment and setting reasonable expectations is a great tee box to start on. Scott McCormick is a scratch golfer. Not! When he’s not working on his game at the driving range he writes for San Diego Golf Now about ways to improve on the links. agree with what you are saying about the right equipment!